One of the new technologies being developed that has a big chance of drastically changing how long gadgets and other devices powered by batteries last is graphene. Graphene has found its way inside a cool new supercapacitor that has landed on Indiegogo seeking funding to come to market. That charger is called the Zap&Go. 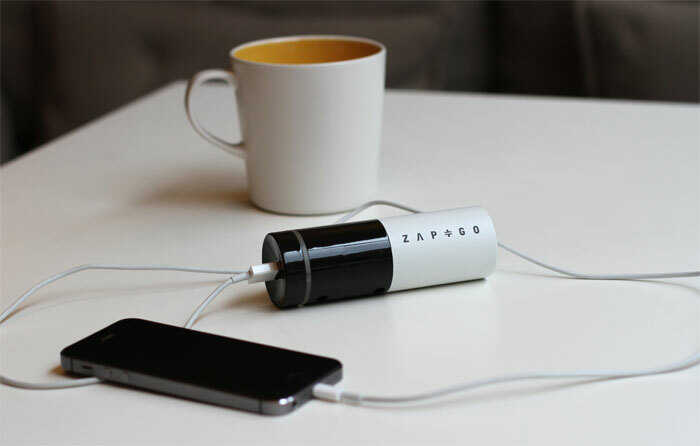 The big feature of the Zap&Go is that it needs only five minutes to charge fully from a completely depleted state. You can plug it in literally at the last minute and have extra power for your mobile devices. The Zap&Go has 1500mAh of power stored inside. That is enough power to charge an iPhone from dead to 100%. It has enough power inside to charge an iPhone 6 to 75% and a Galaxy S5 to 75%. The Zap&Go was seeking $30,000 to come to market and racked up over $70,000 with 32 days left to go for the project. A pledge of $99 will get you a Zap&Go with an estimated delivery date of October 2015. A launch special is available for $149 that will get you a pair of the chargers. Being able to recharge the Zap&Go in only five minutes is very cool for people away from an outlet a lot.